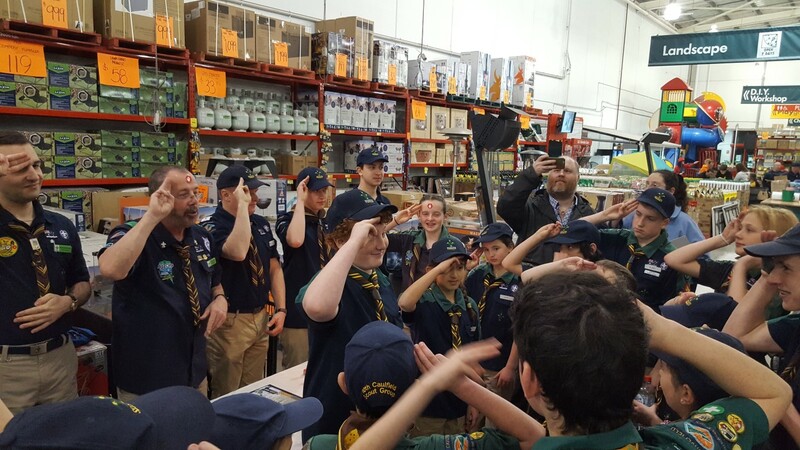 Last night Scouts met at Bunnings Moorabbin. 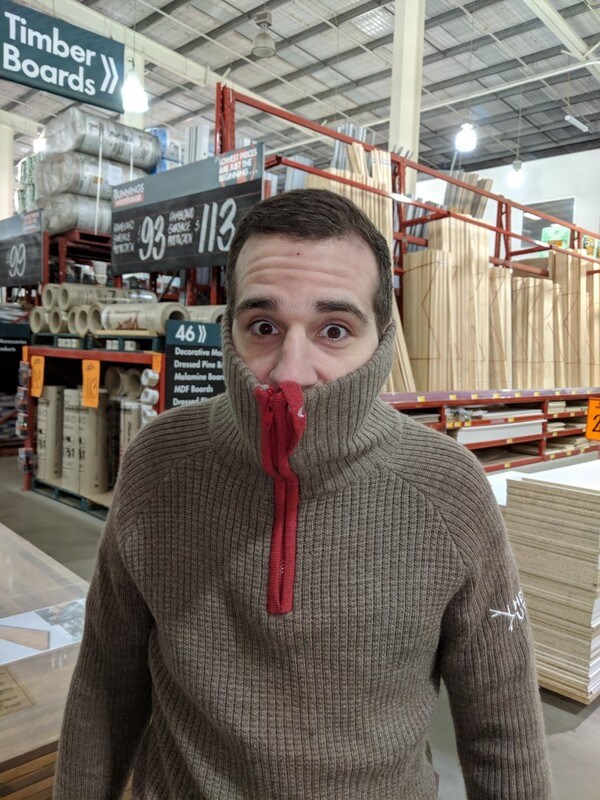 There was all kinds of activities sponsored by Bunnings. Including getting up close and personal with some reptiles and a bloody great big wombat. A hardware scavenger hunt was always going to happen. Surprisingly we didn’t lose one Scout. Later that night Mia and Marcel were invested between the garden hoses and lawnmowers for sale. It had atmosphere! There was a raffle and guess what? One of our number won some goodies. Mazel tov Dara. Thanks Matt for finding out about the venue and getting us there. 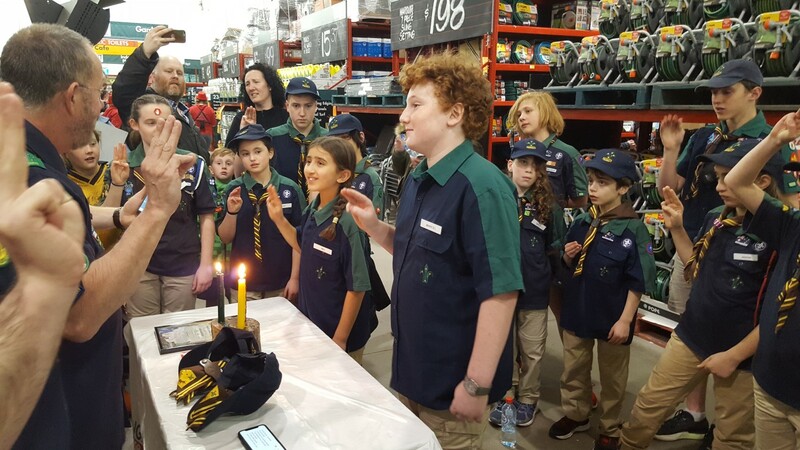 Thanks to Bunnings Moorabbin for hosting a great night. Helping Sam over his fear of hardware. Spotted this troll between timber and the tool shed. Possibly looking for a bridge to hide under. 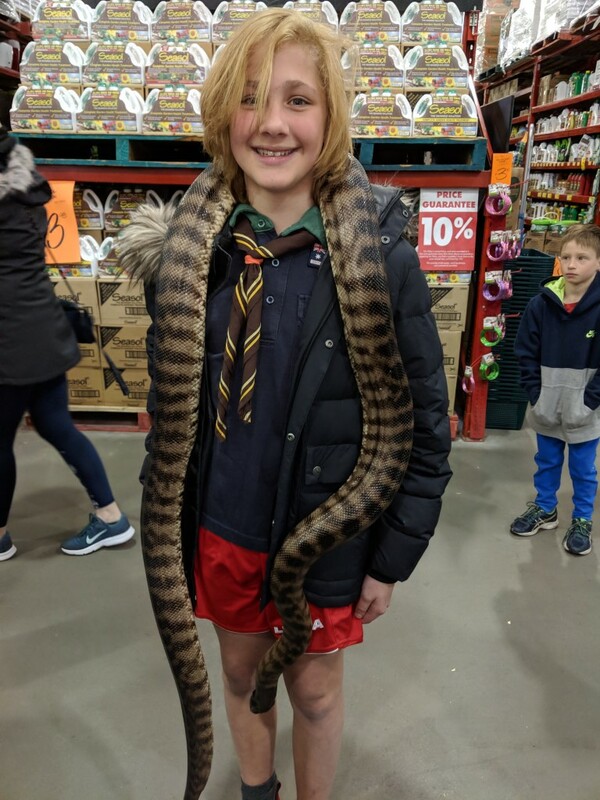 « Cookbook now available to order	» Ava Boulton-Webb is 10th Caulfield’s latest Grey Wolf Cub Scout!